Does the hotel charge amenity fees? Yes. The hotel charges a small amenity fee that covers wifi and beach chairs, and more! The hotel is completely smoke-free hotel. Covered parking is available for $28/night with unlimited in and out privileges. Can I drop my luggage at the hotel before parking? Arriving to Polynesian Residences soon? 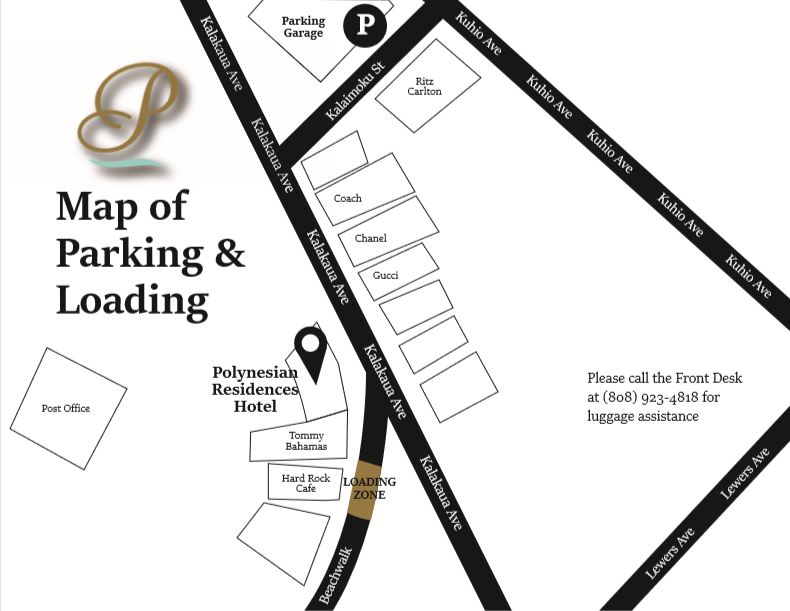 Give us a ring as you arrive and we will meet you at the gold loading zone to assist with luggage. Next to Hardrock Cafe. Park and call for luggage assistance.